Offering you a complete choice of products which include dinex ec capsules, temodal capsule, gliotem capsule, aprecap capsule, temonat capsule and cantret capsule. 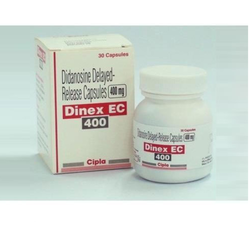 Didanosine (Dinex) is used for the treatment of HIV infection in adults and children. Didanosine (Dinex) does not cure HIV infection and may not prevent you from developing HIV-related illnesses. Didanosine (Dinex) is in a class of medications called nucleoside reverse transcriptase inhibitors (NRTIs). 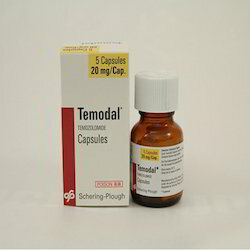 We are engaged in offering high quality Temodal Capsule, which used as anti cancer medicine. This capsule is formulated using finest quality chemical compounds, following industry accepted norms. The offered capsule is available in diverse packaging options to meet the diverse requirements of the clients spanning all over the nation. In addition, offered capsule is severely tested on different parameters to ensure its quality. 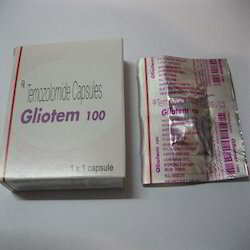 Our reputation in the market is largely attributable to our precisely formulated Gliotem Capsule. The offered capsule is extremely valued among clients for its quality and long shelf life. Furthermore, in order to make sure faultless delivery at client’s end, we test this capsule against varied quality standards. Can be used for the treatment of Grade IV astrocytoma, our capsule is offered in diverse packaging options, as per exact requirements of our clients and at highly competitive prices. 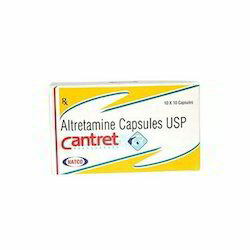 Cantret Capsule offered comprises Altretamine Capsules USP and is made available under brand name Cantret. 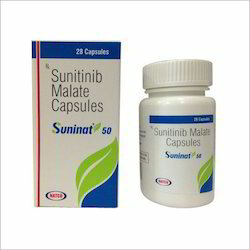 Suninat Capsule offered comprises Sunitinib malate capsules and is available under brand name Suninat 50mg. 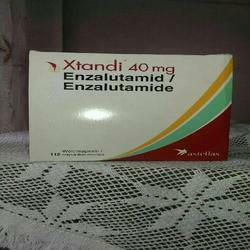 XTANDI is indicated for the treatment of patients with metastatic castration-resistant prostate cancer who have previously received . 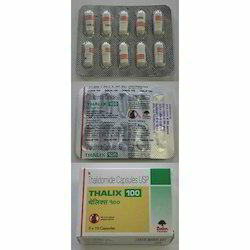 Placed in the pharmaceutical industry as an exporter, distributer, wholesaler and supplier, we are engaged in presenting Thalix Capsule. This is used for treating early stage of multiple myeloma. The offered capsules are formulated accordingly to the medical norms by using pioneering measures and safe chemical compounds. Our given capsules are broadly known for their safe consumption, no side effect, precise composition and long shelf life. The offered capsules are sternly examined on given parameters list to vendor’s quality experts for ensuring the flawless supply of from our end. 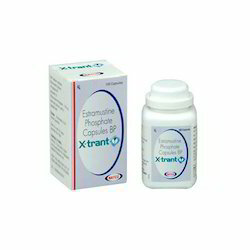 We are extremely engaged in offering a incomparable quality X-Trant Capsules. Our offered capsules are processed under guidance of vendors’ professionals using the best quality chemical compounds and cutting edge technology. Used to treat metastatic or progressive prostate cancer, these capsules are rigorously tested on different parameters of quality. 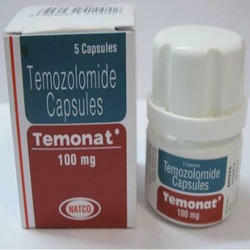 Apart from this, we provide these capsules in various packaging options so as to maintain their quality. Backed by a team of skilled professionals, we are offering Sutent Capsule to our valuable clients. The offered capsule is formulated using best quality chemical compounds and latest machines under tremendous hygienic conditions with the help of progressive technology. Further, to maintain higher standards of quality, this capsule is sternly tested by a team of quality testers. It is very popular in the market for its effectiveness. 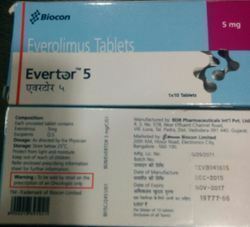 Evertor ( Everolimus) 5mg & 10mg is a prescription medicine used to treat adults and children with a genetic condition called tuberous sclerosis complex (TSC) who have a brain tumor called subependymal giant cell astrocytoma (SEGA) when the tumor cannot be removed completely by surgery. 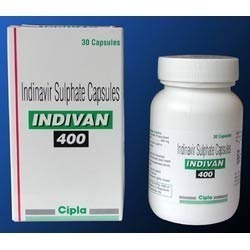 Each capsule contains Indinavir Sulphate equivalent to Indinavir 400 mg. 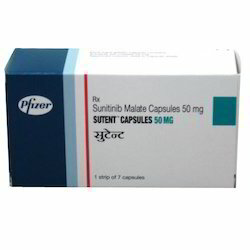 Looking for Anti Cancer Capsules ?